Aquion continues its battery development and funding drive. Aquion Energy recently closed its Round E financing at $36.8 million. We reported on the $25 million first close of this round in September. 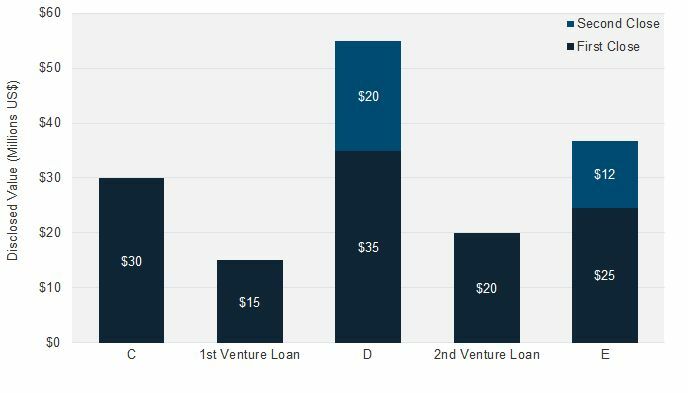 The new twist in the funding story is that few of the traditional venture investors in the Round D participated in the just-closed Round E, according to the reporting of Yuliya Chernova in Venture Wire. This round was about corporate investors such as Total, as reported in a release from Total Energy Ventures today and family offices, not Silicon Valley VCs. Chernova reports, "Several venture investors, including Kleiner Perkins Caufield & Byers, Foundation Capital and Advanced Technology Ventures, that were early backers of the company didn't participate in the round, according to a person familiar with the situation." Steve Vassallo, General Partner at Foundation Capital notes, "We are hugely excited about the company's progress and plans...the round was opportunistically catalyzed by strategic investors only a few months after the prior round in which all venture investors enthusiastically participated." In January of this year, Aquion closed a $55 million Round D to push along its manufacturing and commercial deployment. Investors in Aquion include Bill Gates, Yung’s Enterprise, Nick and Joby Pritzker (through their family’s firm Tao Invest), Bright Capital, Gentry Venture Partners, Kleiner Perkins Caufield & Byers, Foundation Capital, and Advanced Technology Ventures. Trinity Capital Investment and CapX Partners recently added $20 million in venture debt, bringing Aquion's equity, debt and grant total to more than $150 million. Aquion also recently added Thomas McDaniel, former CFO at Edison International, to its board of directors. Our smart grid analyst team charts the company's funding below. And here's a video of a recent installation in Hawaii. Aquion plans to ramp up production at its western Pennsylvania factory and has made some small commercial deliveries. But it's still early days, as startups and established vendors alike begin to ramp for a market still in formation. Aquion Energy says its sodium-ion battery technology can deliver round-trip energy efficiency of 85 percent, a ten-year, 5,000-plus-cycle lifespan, energy storage capacity optimized to charge and discharge for multi-hour applications. The firm has a price target of $250 per kilowatt-hour. Aquion's products are starting to be deployed at a number of pilots in California and Hawaii by energy storage integrators such as Greensmith and Stem. 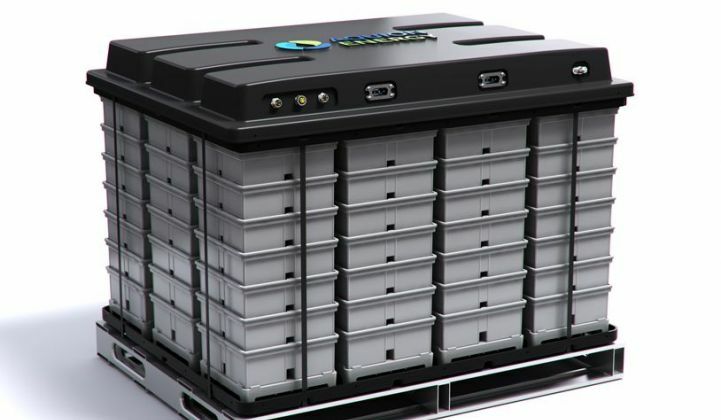 Aquion is already producing 1.5-kilowatt-hour S10 Battery Stack units, as well as an 18-kilowatt-hour system that combines twelve of its S10 units, for its early customers, CEO Scott Pearson told GTM in an interview. The first is sited at an off-grid system used to store solar power for lighting, air conditioning and small electronics. Another grid-tied system at an undisclosed commercial site will provide time-of-use energy arbitrage, peak shaving and emergency backup for AC loads, in conjunction with inverters from SMA, Outback, Heart and Xantrex. A third demonstration with the Department of Energy involves a 14-kilowatt-hour system to provide grid services in conjunction with an ABB inverter. Aquion is also in the midst of delivering on an agreement with Siemens, announced last year, to provide its batteries to the German grid giant for testing, which is slated to get underway later this year. In all cases, “The bottom line is that this technology was designed specifically for stationary energy storage,” he said. That means it isn’t built to be compact enough to fit into electric vehicles or to deliver high levels of power output over short periods of time. Instead, Aquion’s battery chemistry is designed to store energy cost-effectively for hours at a time, in conditions that include both near-total discharge and long lengths of time in partial states of discharge -- both of which present challenges for many existing battery technologies. “To make them inexpensive, you have to start with cheap input materials, and you have to have cheap manufacturing processes,” he said. Aquion’s battery chemistry, developed at Carnegie Mellon University by Professor Jay Whitacre, uses an activated carbon anode, a sodium and magnesium oxide cathode, and a water-based (i.e., aqueous) electrolyte. That combination of cheap and nontoxic materials helps bring down the cost and complexity of the company's batteries, compared to high-temperature sodium-sulfur batteries or volatile lithium-ion chemistries. “Our electrolyte is actually water, so it’s very inexpensive input material. That’s by design,” he said. Aquion isn’t alone in this pursuit. Other battery startups working on aqueous-based electrolytes include Eos Energy Storage, which is targeting a zinc-based, grid-scale battery with a cost of $160 per kilowatt-hour. Flow batteries, which circulate electrolyte through a chamber to store energy, can offer multiple hours of energy storage at prices that are potentially competitive with Aquion’s target of $250 per kilowatt-hour. Some flow battery startups of note include Primus Power, EnerVault and Imergy Power (formerly Deeya Energy). Flow batteries tend to have round-trip efficiencies of around 65 percent to 70 percent. As CEO Pearson noted in a previous interview, several real-world markets for energy storage are starting to emerge, whether for microgrid or island grid systems that want to replace diesel-fuel-fired generators with stored solar or wind power; customer-sited storage to reduce peak demand, provide emergency backup and store self-generated power for different times of the day; or grid-focused applications like providing flexible capacity or balancing intermittent renewable energy.